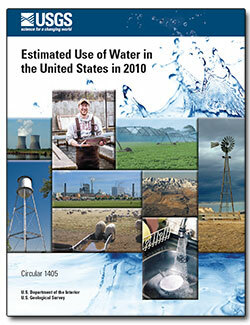 The USGS National Water Information System (NWIS) compiles and publishes national water-use data every 5 years. Like all other industries, mining corporations need water to make bare rock give up its valuable minerals. Mining has played an important part in the development of this Nation. Even before the first European settlers set foot on this continent and mined coal to heat their homes, Native Americans were using coal to bake clay for vessels. The United States now produces a wide variety of mined commodities from gold to coal to "exotic" minerals used in everything from pharmaceuticals to jewelry to high-tech products. All these products would not be possible without the use of water in mining. 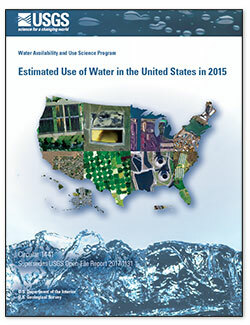 Every five years, water withdrawal and use data at the county level are compiled into a national water-use data system, and state-level data are published in a national circular. Access the most recent National, state, and county mining data, maps, and diagrams. Below are other science topics associated with mining water use. Water is everywhere, which is fortunate for all of humanity, as water is essential for life. Even though water is not always available in the needed quantity and quality for all people everywhere, people have learned to get and use water for all of their water needs, from drinking, cleaning, irrigating crops, producing electricity, and for just having fun. The Nation's surface-water resources—the water in the nation's rivers, streams, creeks, lakes, and reservoirs—are vitally important to our everyday life. Below are publications related to mining water use. Maupin, Molly A.; Kenny, Joan F.; Hutson, Susan S.; Lovelace, John K.; Barber, Nancy L.; Linsey, Kristin S.